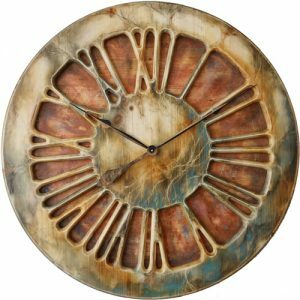 The “Summer Storm” contemporary wall clock is handmade from a single large panel of sustainable pine wood. It is a member of the new family of hollow clocks. 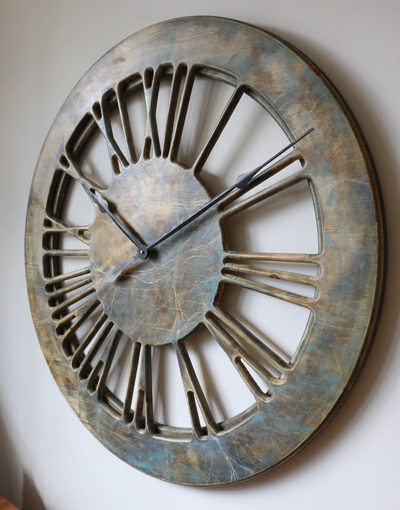 The clock face is displaying carefully hand carved Roman Numerals on a wooden frame and you can see the wall between the numbers. 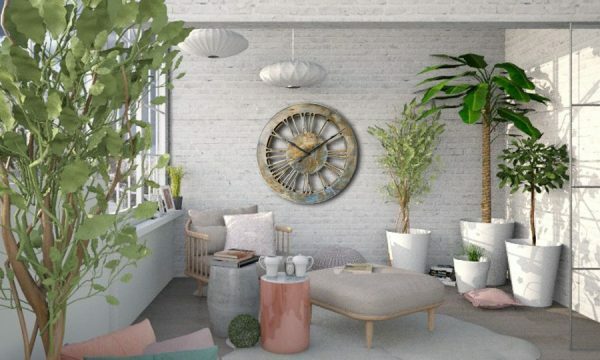 With a total diameter of 100 cm and its unique contemporary design, the “Summer Storm” will look fantastic in all interiors. 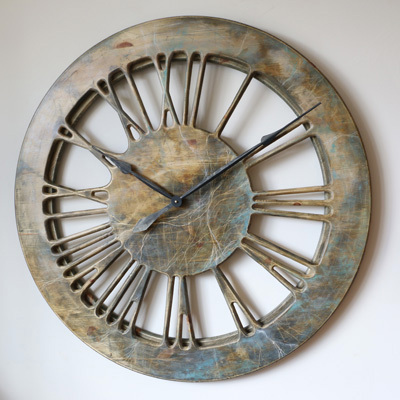 You can now also select different sizes to match your available wall space. 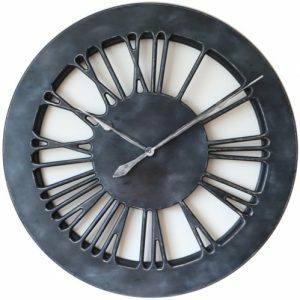 Our bold contemporary wall clock that will blend well in many different interiors. 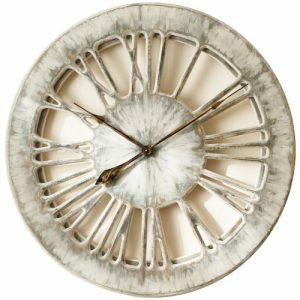 The fine detail and handmade nature of this exceptional piece of wall art will be a great topic for many conversations with your guests. 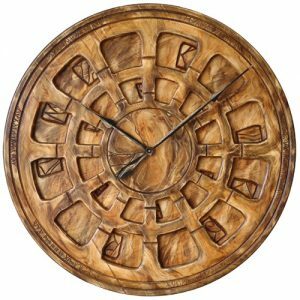 Are you looking for a unique gift for someone you love or care for? 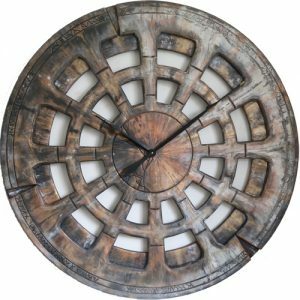 Maybe you are trying to fill that big empty space on your wall with something that is not only eye catching but also functional? The fabulous “Summer Storm” may be just what you were looking for! The mechanism is the most powerful Quartz sweep movement that requires a single C Cell battery. Using battery instead of the mains ensures that you don’t need to drill the walls or hide the power cables. 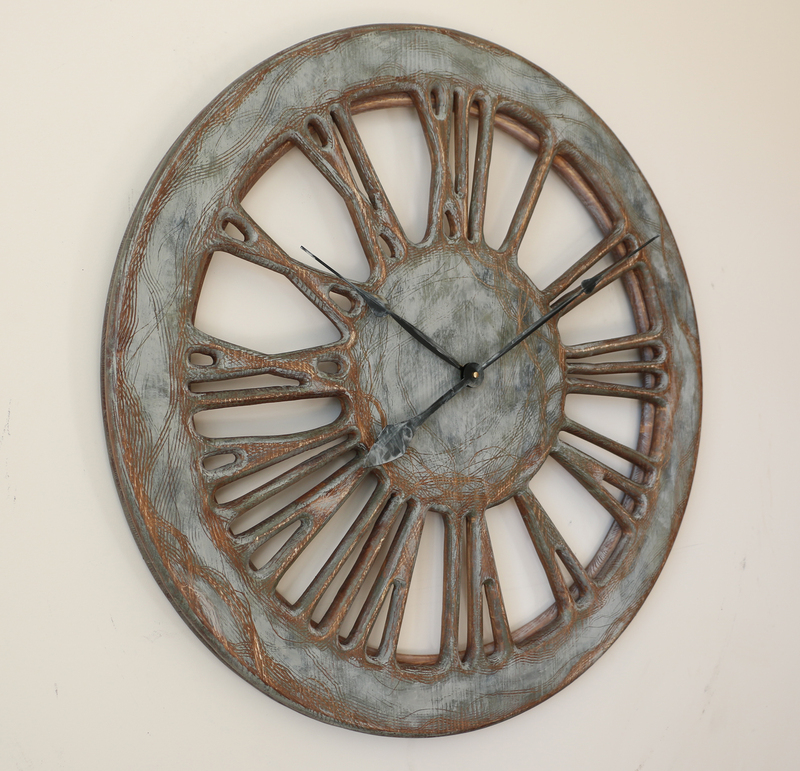 You can mount our clocks in any room at your home as long as you remember to avoid direct heat sources and moisture. 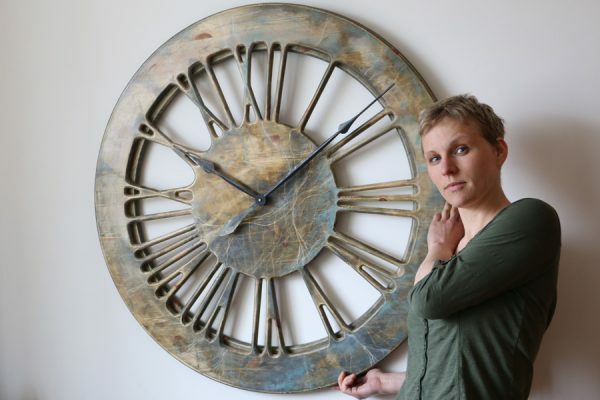 When you receive the clock all you need to do is attach the hands and set the time. We have recorded a short video explaining that. 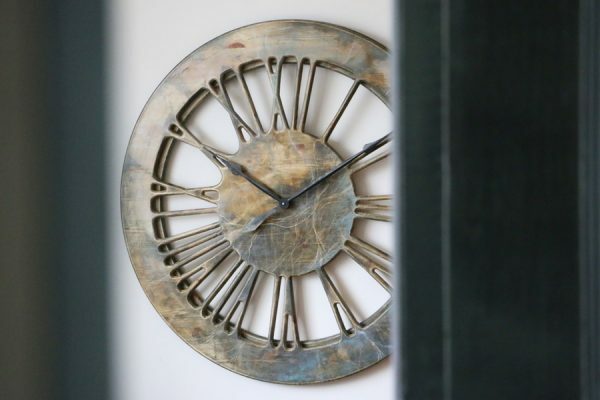 Peak Art’s decorative wall clocks have been very popular since we first introduced them to the market in late 2015. We cut the face of each clock from single large panel of pine wood which provides natural look and feel. If you look closely you can see additional narrow rim attached at the back adding more three dimensional character. You can use any wall clock from Peak Art as unique piece of statement art in your living room. 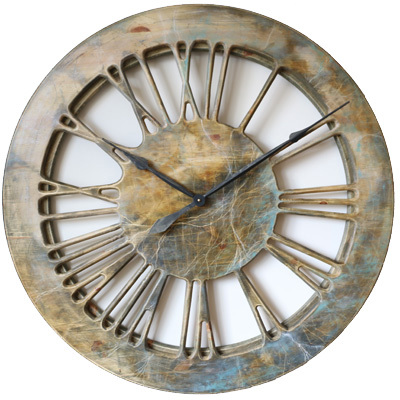 Our clocks have distinct, hand painted finish and beautiful round shape.